Seven years ago, one Middle Tennessee healthcare leader began working on a project to bring a new hospital to Murfreesboro that would provide services different from than those already being offered by neighboring medical centers. Local residents in need of physical rehabilitation services or psychiatric care were forced to travel to Nashville, Chattanooga, Franklin and even Lebanon, explained Kevin Lee, CEO of Brentwood, Tenn.-based Polaris Hospital Company. "This town has never had inpatient psychiatry or physical medicine-rehabilitation services," he said of Rutherford County's largest city. Once the long-standing need for this type of care was identified, actions were taken to provide them, and in just two weeks, TrustPoint Hospital will open its doors on Thompson Lane, near Medical Center Parkway. The new 70,000 square foot hospital will feature 60 beds -- 27 for physical rehabilitation, 26 for psychiatric care and nine acute care beds -- and offer state-of-the-art inpatient acute physical rehabilitation services. The ClearPath Program at TrustPoint Hospital will provide inpatient behavioral health services for adults and older adults. "This hospital represents an important element to the quality of life of local citizens," Lee explained. He quoted one of the hospital's doctors, John Witt, as saying, "We give people hope for recovery." Lee emphasized how TrustPoint Hospital will not be competing with nearby Middle Tennessee Medical Center or StoneCrest Medical Center. Rather, the new hospital's specialty services will complement the vast array of services they already provide. "It will be the only hospital with these services between Nashville and Chattanooga," he said. "Having this hospital fills gaps in this community." Additionally, Lee clarified that TrustPoint Hospital is not a drug rehabilitation center. Patients with chemical dependencies will be admitted, but only if the dependencies have created psychiatric issues, as well. That said, the care is not meant to be long-term. Length of stay is dependent upon each person's unique situation. However, Lee estimated average care to be 10 days for adult psychiatric patients, 13 days for geriatric psychiatric patients and 14 days for physical rehabilitation patients. When patients are released from medical hospitals' care, they oftentimes aren't ready for day-to-day living at home. This is where TrustPoint Hospital comes into play, explained Michele Fowler, director of business development. "TrustPoint is really the bridge between the medical hospital and home," she said. "Here, we just fill that gap and help (patients) to function at their highest potential. We prepare them for home after surgery or illness." Located on the first floor are private rooms for rehabilitation patients, along with the physical therapy gym, complete with a kitchen and laundry room to help teach skills that will be needed at home. The ClearPath behavioral health program is located on the second floor, where adult and geriatrics patients have private rooms and group therapy classes. Each patient spacious room has a very large window to allow an abundance of natural light – often thought to be an important factor in the healing process. Fowler said anyone can refer patients to the ClearPath program and the intake assessment is free and confidential. Admission can be voluntary or involuntary, but the latter is only done when the individual is in or poses immediate danger. TrustPoint Hospital aims to bring a high-level team approach to inpatient physical rehabilitation in order to care for patients recovering from conditions including (but not limited to) brain or spinal cord injury, stroke, cardiac and pulmonary disorders, amputation, orthopedic conditions like hip fractures or joint replacement, and degenerative neurological conditions. Neurologist John Witt, M.D. and Dr. Sue Nuthalapaty, who specializes in physical medicine and rehabilitation, will lead the team. "Our goal is to help patients who are facing a physical impairment caused by an injury or illness to lead quality, productive lives after their discharge from TrustPoint Hospital," says program director, Jami Alexander-Zolt. Additionally, psychiatrists Ravi Singh and Ahmed Farooque, who have been practicing in Murfreesboro for nearly 25 years, will provide treatment and lead the team of the ClearPath Program at TrustPoint Hospital. TrustPoint Hospital is owned by Brentwood, Tenn.-based Polaris Hospital Company, which currently has one other hospital located in Lubbock, Texas. Also called TrustPoint Hospital, it has been ranked in the top 10 percent of the nearly 800 Medical Rehabilitation facilities in the U.S. for 2011 by Uniform Data System. "We are looking forward to providing expert and compassionate behavioral health care in a safe and therapeutic environment. Having these services provided in our own community will mean that people will no longer have to travel far away from their loved ones at the time when they most need their support," ClearPath director Karen Hickey said. The hospital anticipates that it will eventually employ about 200 medical professionals. It will also help residents of Rutherford and the surrounding counties by making these services available close to home for patients and their loved ones. "I feel like we are making history here," Fowler said. "This has been a long process to get here, and we're just really glad we'll be here for folks in Rutherford and surrounding counties." TrustPoint Hospital invites local residents to its open house celebration to visit with key physicians, meet the staff, and take a self-guided tour of the facility from 4-6 p.m. on Tuesday, Aug. 14. The open house will be in conjunction with a Rutherford County Chamber of Commerce ribbon cutting ceremony. 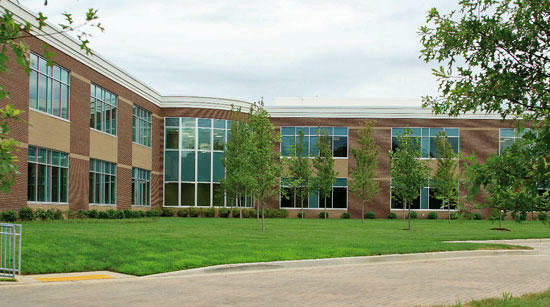 TrustPoint Hospital is located at 1009 N. Thompson Lane in Murfreesboro. For information, visit www.trustpointhospital.com or call 615-867-1111.